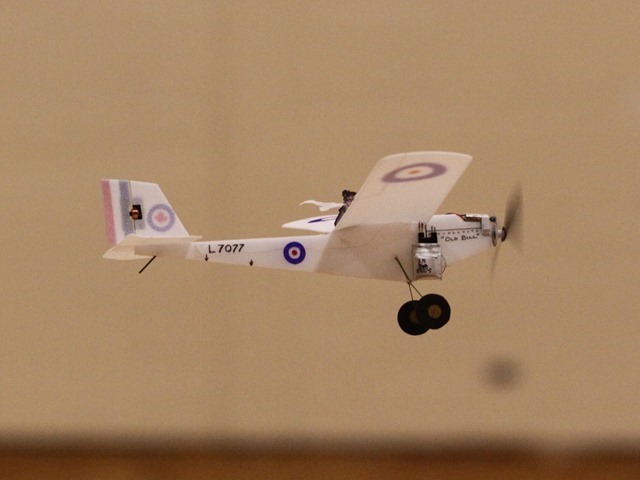 SOO Modellers Smallest R/C Model, plus other things. 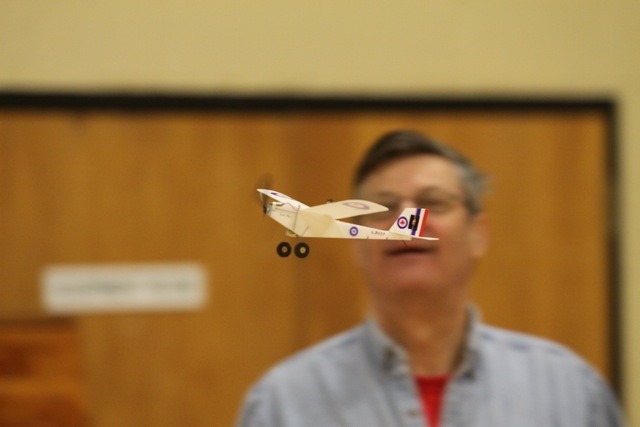 I asked Christian what was the smallest indoor RC model they had flown. He said that "so far it is my 'Baby Bill' with 250 mm (10") span and a flying weight of 5.3g including 50 mAh LiPo. I have built several versions of Boddo's 'Old Bill' over the years - this is the smallest! A lovely flyer - but vulnerable if anyone else is airborne... "
Thanks to Peter for majority of the photographs. "We had a break from the cold weather and snow this week - with temperatures close to freezing. This video was taken in the early morning at around -10C, but zero wind. 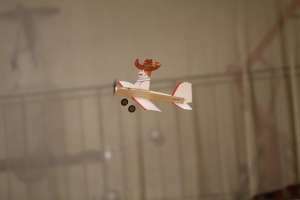 I had trouble getting Tenderfoot Tom to fly indoors at the weekend (long story) - so I made a few test flights outdoors. The loose snow on the driveway is from the night before (we would call this a 'dusting') and I had not yet cleared it. Note how Mandy avoids the snow banks - including that parked car in front of the barn! 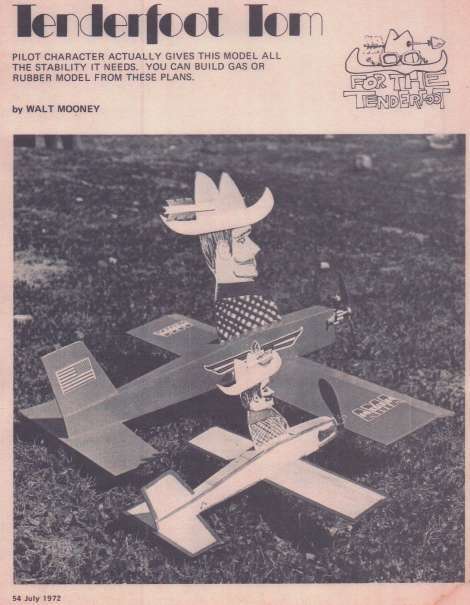 'Tenderfoot Tom' was designed by Walt Mooney and was included in a series of excellent beginner's models presented monthly in "American Aircraft Modeler" during the late 60s/early 70s. Many important designers participated in the "For the Tenderfoot" series, Bill Hannan being most prominent, perhaps. I built many of these designs - including the 13" span rubber powered FF version of this model 'back in the day' and it flew in circles like a control line model - making flat turns to the left and very stable - despite the low wing and lack of dihedral. The stability is provided by the vertical surface area of Tenderfoot Tom himself of course... The RC version responds well to rudder - and banks left or right similar to a model with dihedral. 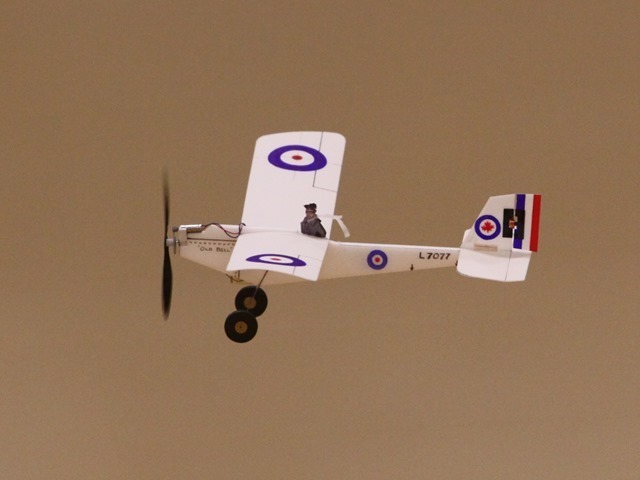 I wonder... did the UK have a similar freeflight model - using a large profile pilot for stability??? Tenderfoot Tom ready in a mixed group, lined up for a pylon racing start. Click for a list of plans and several articles. American Aircraft Modeler was readily available in the local shops in Peterborough (Ontario) from 1968 thru 1970s - which was the heyday of the series. I built many of these models but have lost all of these magazines from this period - and have only a few plans stashed away. The Flying Funtique was one of my favourites - and I've been looking for this plan for some time. It's a likely candidate for micro r/c pylon races next week! The guys in your club might like the Escondito Mosquito. The 'Baby Biplane' is also highly recommended! 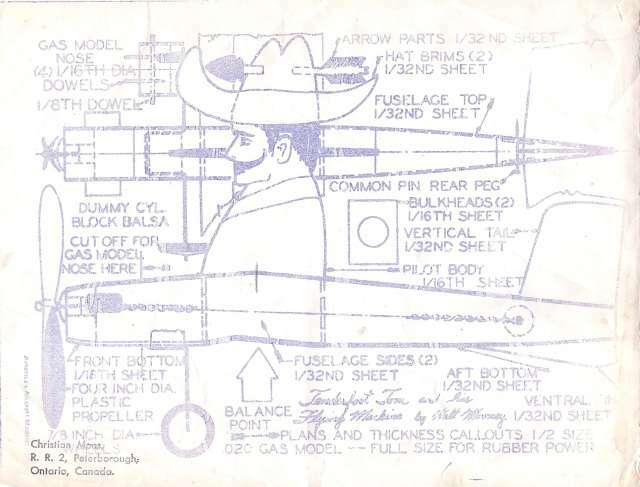 Here is a scan of the plan I used for Tenderfoot Tom. Notice address stamp lower left! Click here for Bob Selmans BSDMicro web pages - well worth a look. 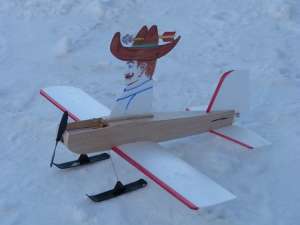 "Thanks & hats off to pilot and new member Terry B. He did a superb job of steering Tom around inside the gym and avoiding other traffic - as it was the first time he flew this plane. ".